Wanting to decorate your home for the fall? Contact Trisha's Flowers for a custom dried floral wreath. 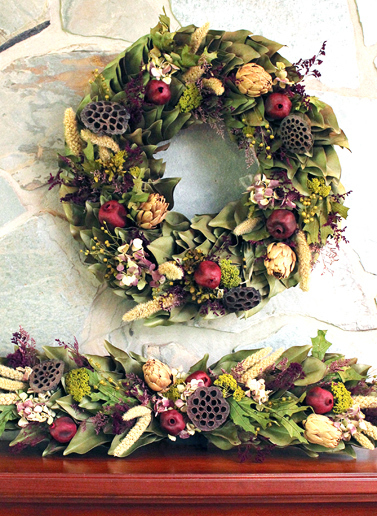 Whether indoor, outdoor, or even used as a centerpiece, you will love the splash of color and natural beauty a dried wreath can bring to your home. Start imagining what you might want in your wreath. Maybe some vibrant dried flowers mixed with wheat and grasses? Or add some more texture with dried fruit, walnuts, twine, pine cones or cinnamon sticks! And, you can never go wrong with some bright orange bittersweet berries, corn husks, and dried gourds.